Home > Learn > The Basics > Alzheimer's FAQs > How do I talk to Dad about his diagnosis? Doctors hear this line often. The families who say it are afraid that the truth will devastate their loved one and lead to hopelessness and depression. Some physicians may comply, but most believe it’s a patient’s right to be fully informed about his or her situation. Even patients with dementia deserve to hear the truth. “Plain, truthful talk allows everyone to come together, be supportive, give lots of loving help, and make a game plan for care,” says Lori Hogan, co-founder of Home Instead Senior Care, an international in home care company that has helped thousands of families coping with Alzheimer’s. Like many people, Margaret found it comforting to finally understand the truth about her memory loss. While families dread this moment, in many cases it’s almost a non-event for the person with dementia. He or she may already know something is wrong. Others may be protected from the bad news by their forgetfulness, or not fully understand or retain the information. Keeping a diagnosis secret makes it very hard to formulate a game plan for success. How can you get to the Alzheimer’s education workshop, support group or start using helpful services if the diagnosis is not revealed? 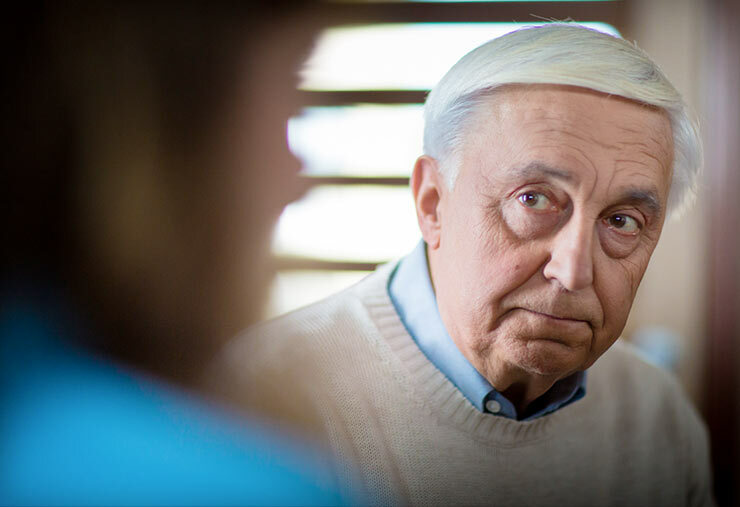 Starting your family member on a recommended memory care medication or treating depression can be extremely difficult if you’re keeping a secret. Learn all you can about dementia so that you can speak to your family member with confidence and answer questions. Answer your loved one’s questions fully, but stress the positive—for example, that memory pills may help, and that research continues around the world to find a better treatment or cure. Stress that you will travel the journey with your family member. Your optimism and positive tone will be comforting. Most importantly, have empathy for the person in your care, and communicate with an upbeat, positive spirit. Provide loving support and engage your loved one in meaningful activities that build their sense of purpose and self-esteem. If the journey becomes overwhelming for you, consider joining a support group, participate in family caregiver educational opportunities, and hire others to help you. You and your family member do not have to travel this path alone. Travel companions can help you make the most of every day. What should a family do after their loved one has been diagnosed with Alzheimer's disease or a related form of dementia? In this video, David Troxel, an Alzheimer's and dementia care expert, discusses helpful next steps.